Home Geek hardware nostalgia toy wishlist Does that toy look familiar to you ? Does that toy look familiar to you ? From time to time, we see a re-edition of an electronic toy from the eighties, and this always makes me nostalgic: the Merlin (see also Yahoo! 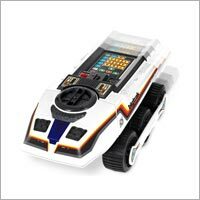 Merlin widget) , Simon , the Atari VCS ... and now it's the comeback time for BigTrak! It is now a while ago, but the souvenir of my first programming experience with this electronic tank is still so fresh, ... and the frequency at which I had to change the cells as well! Its unforgettable design was directly inspired from Star Wars (like the other contemporary MB toy, the StarBird). 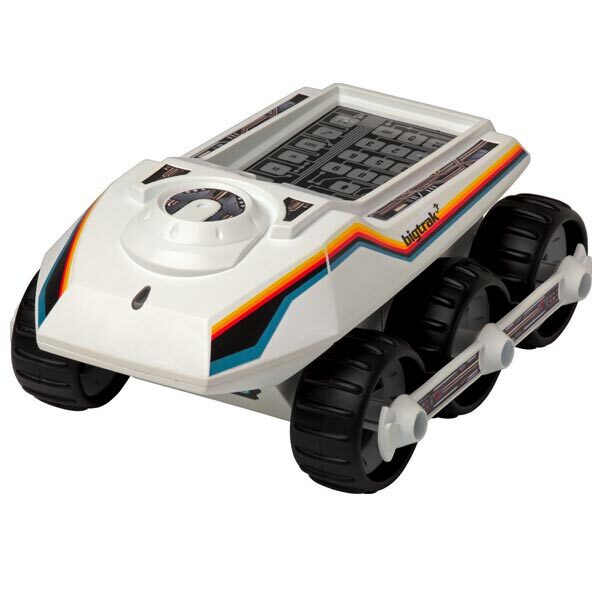 The idea of Bigtrak is to program a suite of action through its keypad, like go forward, distance 2, fire laser, turn left, 45 degrees, go forward, distance 3, activate accessory... once pressing the GO button, the tank will execute the suite of action, ending with its characteristic little music. - The big 'n bulky classic one (around €40), using 3 x D type batteries (I think the original model needed even more), is a re-production of the 1979 toy. I'd be curious to know if the old "Transport" trailer would still work, and/or any similar accessory will be produced. - Then a smaller one (around €35): the BigTrak Jr (4 x AA batteries). If you're supposedly too old for this, do like me: pretend you bought it for the kids!